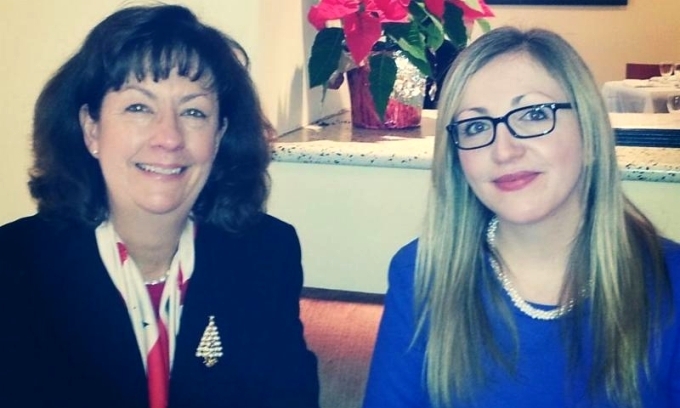 On Monday, December 22, 2014, ACBH Executive Director, Ms. Ajla Delkic met with the new U.S. Ambassador to Bosnia and Herzegovina (BiH), Maureen E. Cormack. The U.S. Senate confirmed Maureen E. Cormack as the new U.S. Ambassador to BiH last month and she is eager to travel to BiH and get to know the people of the country. Ms. Delkic informed Ambassador Cormack on the issues that are important to the Bosnian American community and stressed the importance of BiH's NATO accession. Ambassador Cormack expressed her desire to work with the Bosnian American community and assist BiH with economic development and the rule of law. ACBH is thankful to have met Ambassador Cormack prior to her departure for Sarajevo, BiH and looks forward to working with her in the coming months and years in supporting BiH on its path towards Euro-Atlantic integration.